Easter In Norway: A Time For Crime? I love Easter…lots of fluffy chickens and delicious chocolate. Easter weekend in Norway typically marks the last chance to ski although given the lack of snow we’ve had this year many will need to travel to the mountains. But skiing isn’t the only thing that Norwegians do at Easter – they go mad for crime. No, I don’t mean they all make a special effort to commit crime but they love watching and reading crime stories. Bookstore displays are covered with detective novels. The TV stations bring out all of the old British classics including Cracker, Prime Suspect, Agatha Cristie and Poirot. Even the newspapers get involved printing special crime supplements. 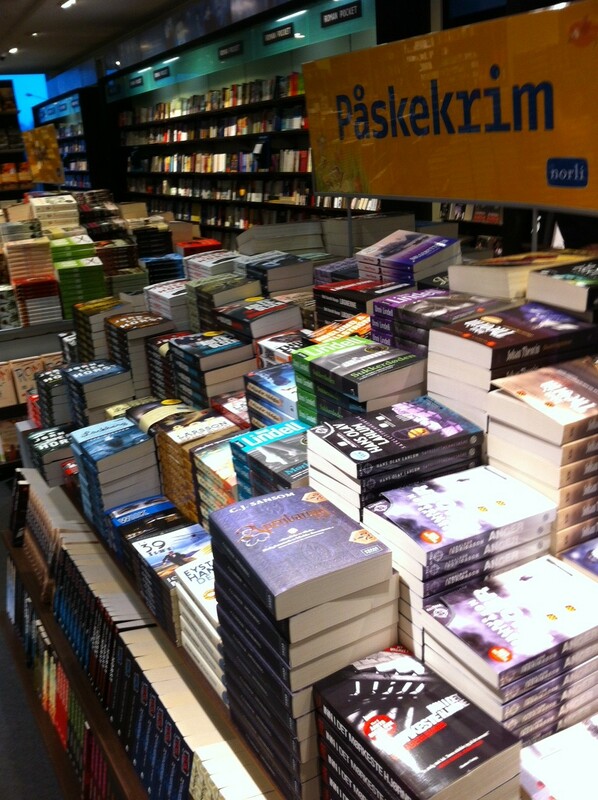 Påskekrim (or Easter Crime) is so popular in Norway that apparently the price of mystery novels can rise by as much as 50% during this time! So, where does this seasonal need to solve crimes come from? I’ve researched a little and apparently in 1923 a marketing campaign was launched on the front of Aftenposten newspaper to advertise a new crime book. The advert appeared like a regular news story titled “Bergen train looted in the night”. Apparently this campaign was a huge success so the publisher did a similar marketing trick the following year and ever since Easter has become synonymous with crime fiction. If you’re looking for some crime fiction this Easter, here are a couple of authors. Henning Mankell!! His inspector Wallander series, apparently there’s a new one out now – have been waiting for it for ages. I think I remember the BBC running Wallander as a crime series. Though some thirty years “new”, consider Maj Sjowall-Per Wahloo and the Martin Beck series.